When using this refreshing liquid soap your body will be covered by amazing stimulating vapours, it will clear your sinuses and open your pores. This is thanks to the organic eucalyptus oil contained in the soap. All oils contained in this soap are certified organic by the National Organic Standards Program. The bottle the soap is held in is created using 100% recycled, post-consumer plastic bottles. 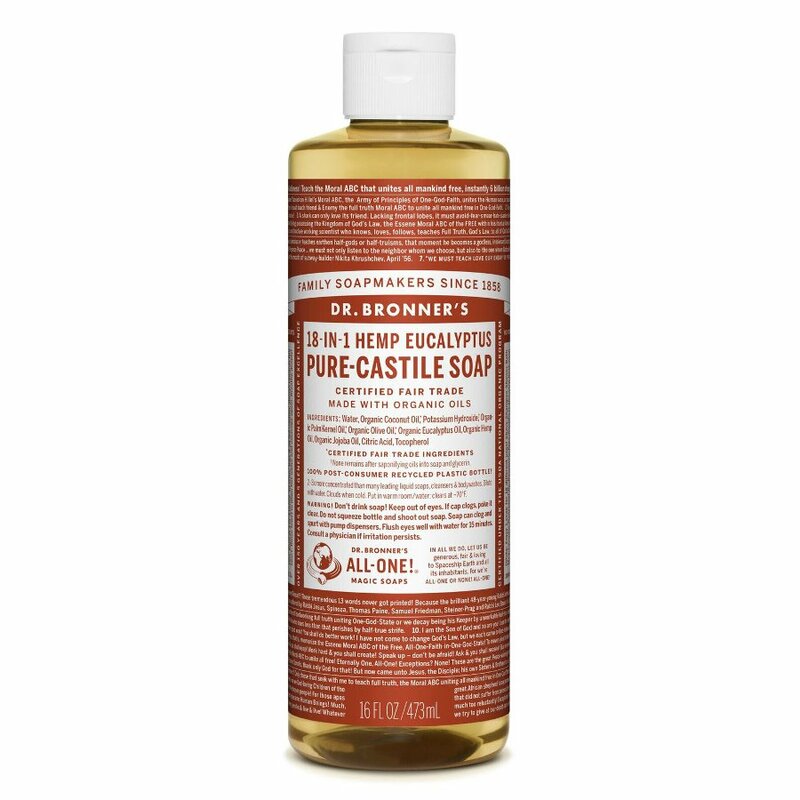 There are currently no questions to display about Dr Bronner Organic Eucalyptus Castile Liquid Soap - 473ml.